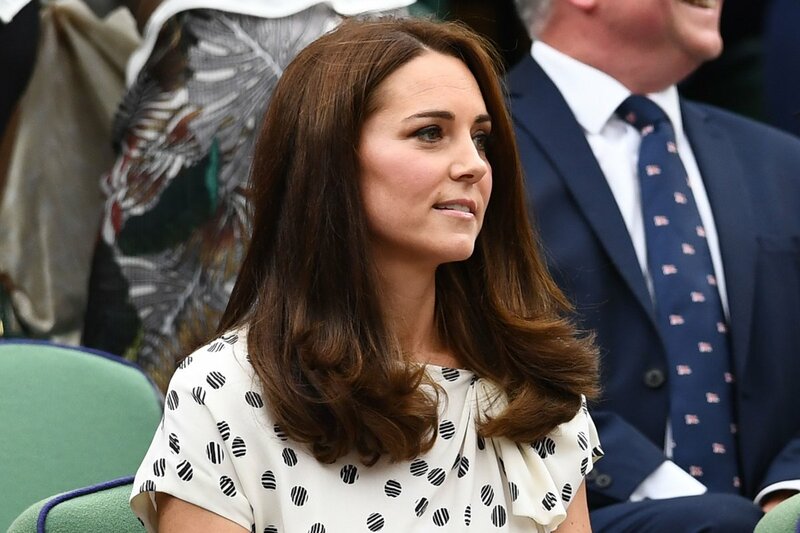 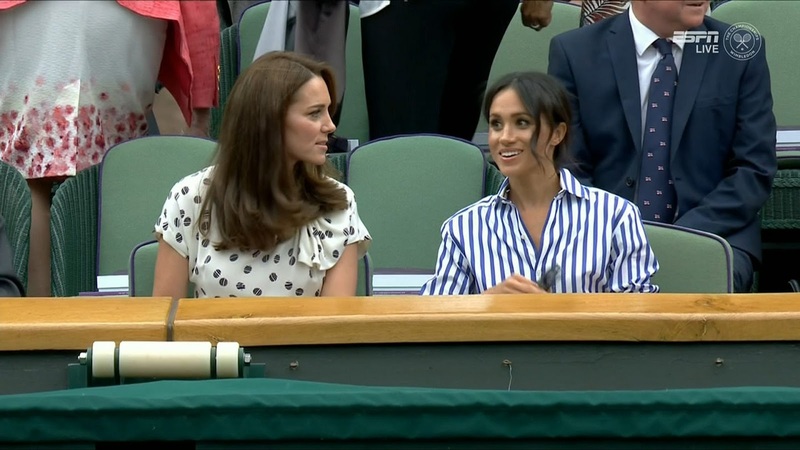 Wimbledon became the affair of the Duchesses as the Duchess of Cambridge arrived alongside the Duchess of Sussex to watch the 2018 Wimbledon Women's Single Final. 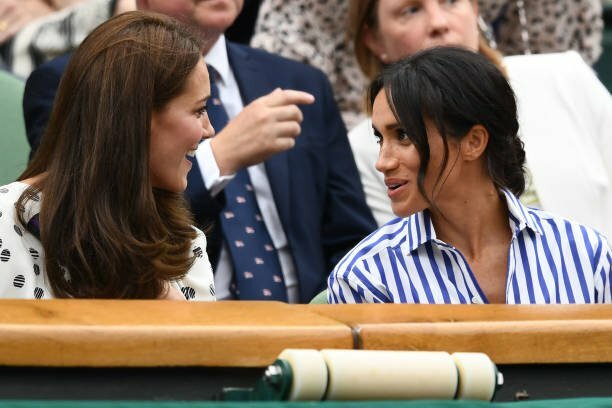 Kate Middleton, who is a regular at the Wimbledon, arrived with sister-in-law Meghan Markle, who supported her bff US player Serena Williams, battling for her 8th Wimbledon title. 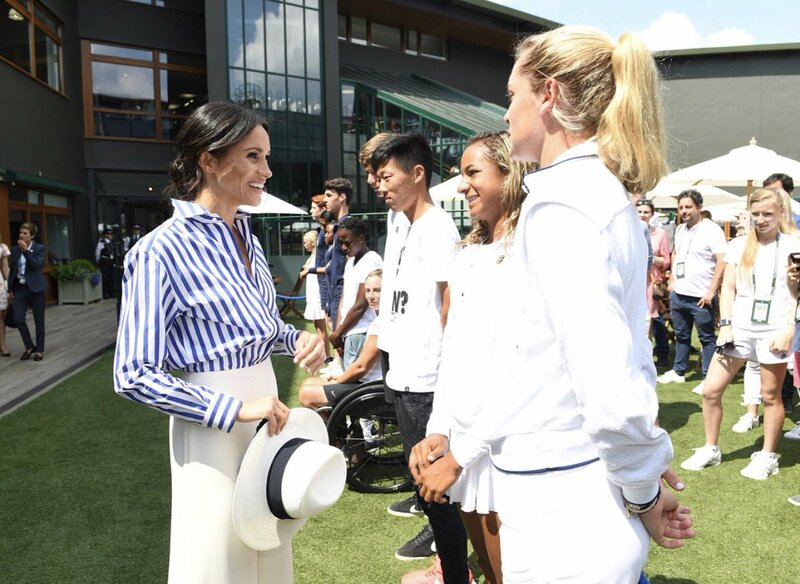 Serena was also a guest at Meghan and Harry's Wedding, and will be fighting for the tile against German player Angelique Kerber, and is quite close to the Duchess of Sussex. 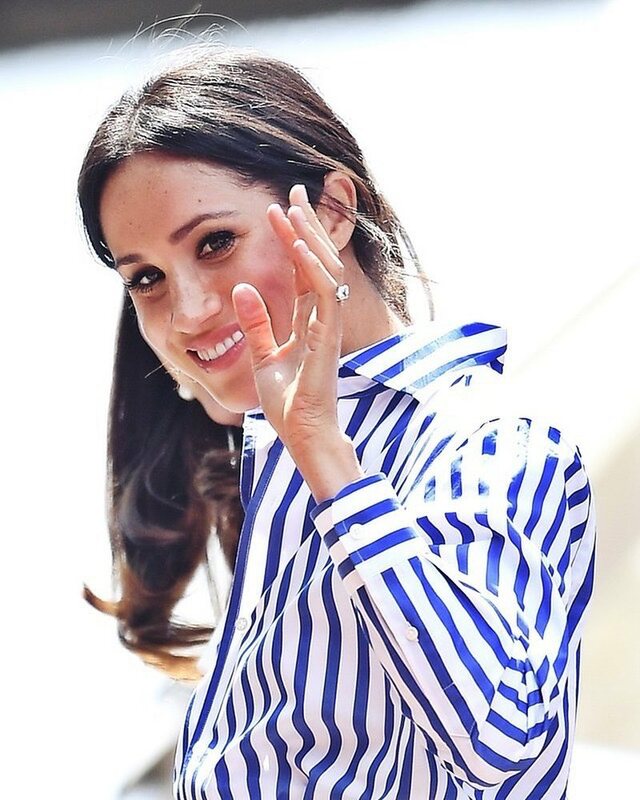 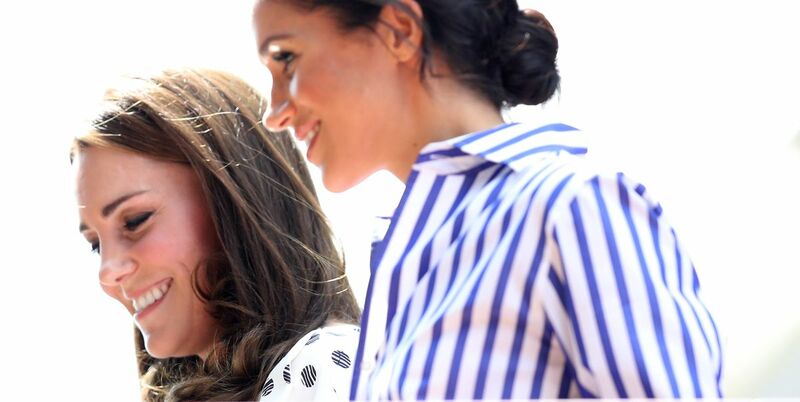 Arriving for the match at the All England Club, Meghan was a sleek sight clad in a figure-flattering white pencil skirt paired with a striped button down shirt and her hair done is a causal updo. 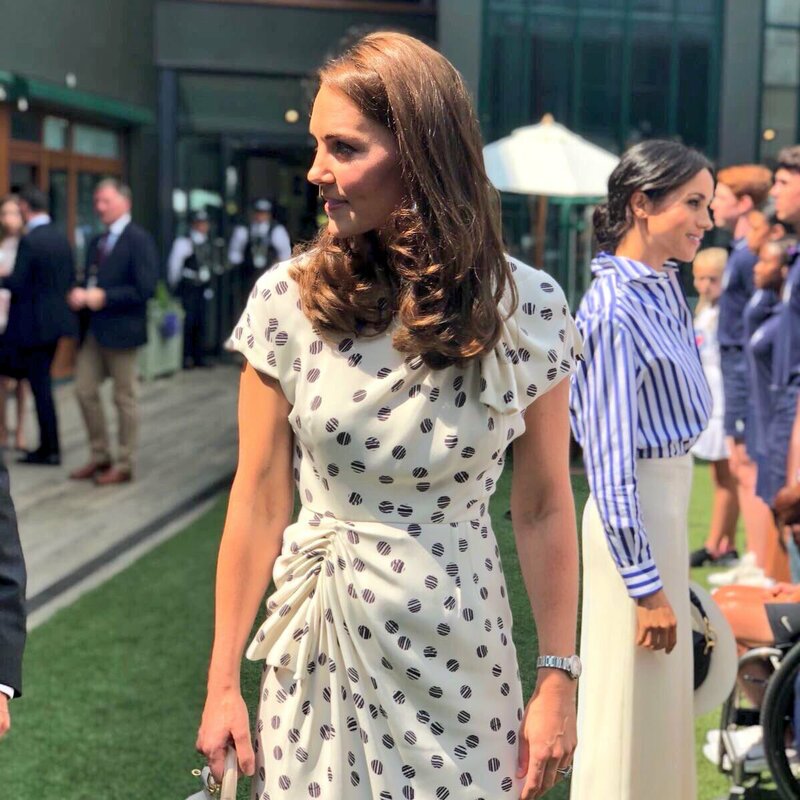 Kate, who just attended her third baby Prince Louis' Christening last week and is on maternity leave, opted for a more casual ensemble, a printed dress with her hair down, a smart handbag and her usual wrist-watch. 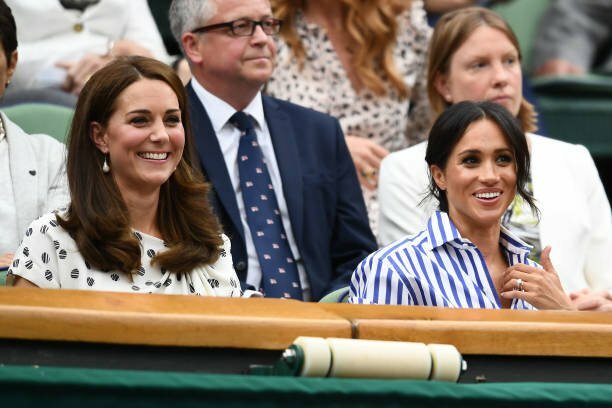 Sporting a no-makeup minimal look, both the Duchesses looked fabulous, and certainly had all eyes on them at the match.